After all that sunshine, walkabouts and paddle-abouts…there’s nothing like mom and dad’s bed. 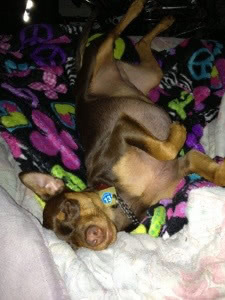 This entry was posted in Life in General and tagged minpin by Sprocket. Bookmark the permalink.